Collecting royal postcards can be such a delight! This card arrived today from a dealer in Germany. 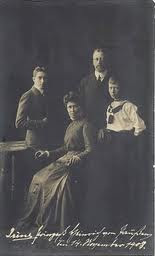 The card is of Prince and Princess Heinrich of Prussia and their two sons, Waldemar and Sigismund. 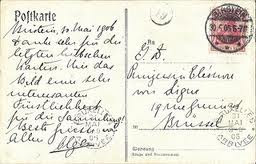 Notice how Irene signed the card: Irene Prinzessin Heinrich von Preussen, 14 November 1908. The reverse of the card is also interesting. The card was addressed to HSH Princess Karl von Isenburg, who lived at Schloss Birstein in Hesse. The card is written in English, which is not a surprise because Princess Karl's native language was English. The former Bertha Lewis was born in New Orleans in 1872. She married Prince Karl in in 1895. She was educated in Paris, and spoke French fluently, according to Richard Hutto's book, Crowning Glory: American Wives of Princes and Dukes. After their marriage, which took place in London, Prince and Princess Karl lived at the Chateau de Seeberg in Bavaria, and at Birstein. Their wing at the palace "held no fewer than 170 rooms." Princess Karl was a great patron of music. She held a reception for the Abbe Perosi, who succeeded Palestrina as the Sistine Chapel's music director. 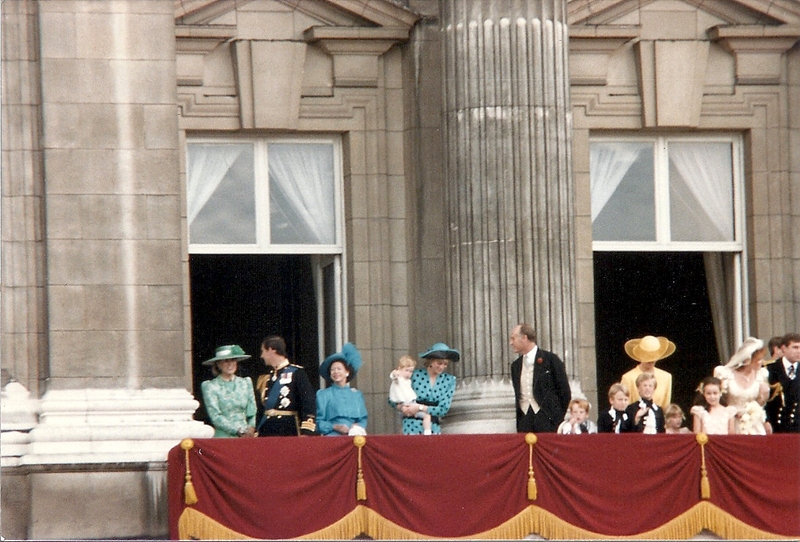 Prince and Princess Karl's marriage was childless. I've just realized who wrote the postcard! 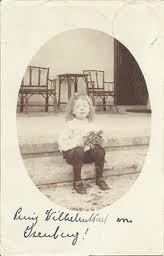 It is the same person who sent the postcard of her son, Prinz Wilhelm Karl von Isenburg, to her friend Princess Eleonore de Ligne. Both cards were sent by Princess Leopold of Isenburg, the former Princess Olga of Saxe-Weimar-Eisenach. Prince Leopold was the Hereditary Prince of Isenburg, but in 1898, he renounced his rights in favor of his brother, Franz Joseph. Very interesting post. My mother is a native of Birstein, and her grandfather was head forester to the Prince Franz-Joseph zu Isenburg mentioned in the article, as well as his son Prince Franz Ferdinand.